GitHub was last valued at $2 billion in 2015. Reports of Microsoft buying it out surface at a time when its CEO quit 10 months ago. UPDATE: Microsoft has agreed to acquire GitHub, says a report from this morning by Bloomberg. It appears Microsoft could announce news of the same as soon as Monday. Microsoft began with a history of dealing with software-development tools when Bill Gates and Paul Allen co-founded the company to provide casual developers a means to program a new micro-computer kit, the MITS Altair. According to the report, the former CEO of Microsoft, Steve Ballmer, always championed the notion of building proprietary software for Microsoft. Open-source code, the kind of code that one can find on GitHub today, was once considered detrimental to Microsoft's business model. However, under the new CEO, Satya Nadella, things have changed. 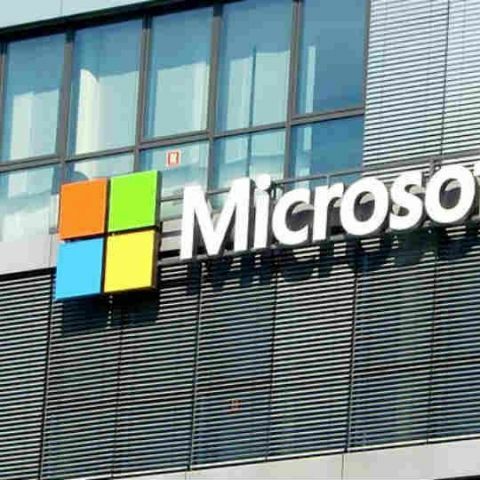 Microsoft now supports Linux, and has used open-source code on some mainstream cloud and developer products in the past. GitHub, the online repository hosting service for git, could well be bought over by Microsoft. According to a report by CNBC, GitHub was last valued at $2 billion in 2015, but the cost of the acquisition could rise to $5 billion now. Apparently, CNBC was told by a source familiar with the two companies that they had been considering a joint marketing partnership valued around $35 million, and that either an investment in the business or an outright acquisition would take place. However, the current situation remains unclear. CNBC’s contact said the price for an acquisition was more than what Microsoft wanted to pay. GitHub, whose headquarters is in San Francisco, California, has over 23 million individual users in more than 1.5 million organisations. GitHub is used by software developers to store code, keep track of changes to it, and discuss issues around it. GitHub is a repository that’s open to the community. It allows developers to have their code reviewed by others on the community. Furthermore, GitHub is integrated with common cloud computing platforms like Amazon and Google Cloud. As per the report, Microsoft has toyed with the idea of buying GitHub out in the past, as early as 2016, although GitHub denied reports of any such happenings. A partnership, apparently, can help Microsoft reach out to software developers more easily to build applications on its numerous platforms, including Microsoft Azure, Microsoft’s cloud service for helping businesses build, manage, and deploy applications. It may also help the company build artificial intelligence products better. These reports surface at a time when GitHub is struggling to find a replacement for its CEO and founder, Chris Wanstrath, who resigned as CEO ten months ago. According to more reports, Sridhar Ramasamy, senior vice president of ads and commerce at Google, had been consider for the position. How to use Microsoft Lync ? Should Microsoft kill Windows Phone and switch to Android?